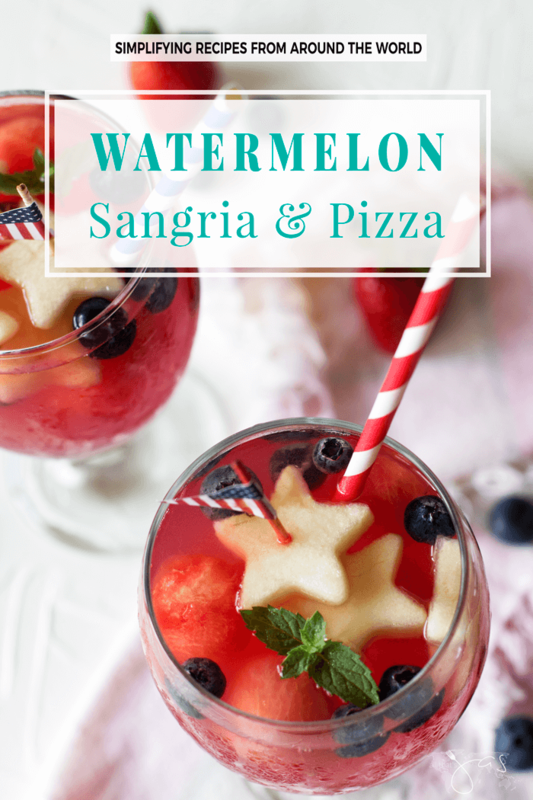 This watermelon sangria and infused pizza are THE two hot summer items for your adults-only party. 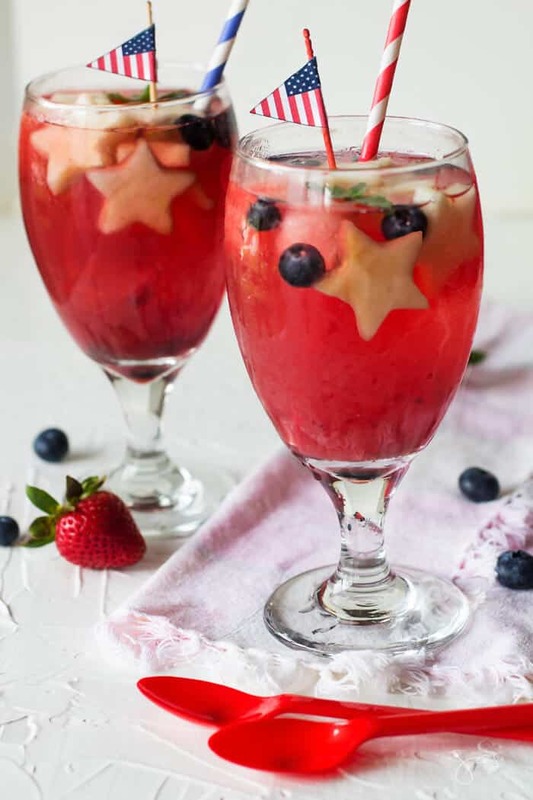 Patriotic red white and blue fruit make it perfect for the 4th of July celebration and any other flag-waving occasion. I prefer cocktails over wine, but sangria is an exception. Back at home, this famous Spanish beverage is a staple item for parties. 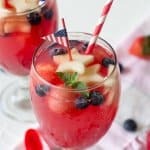 Strawberry sangria aka bola, peach, and watermelon with white wine – SANGRIA BLANCA – are my favorite because I can tolerate it better than the red. 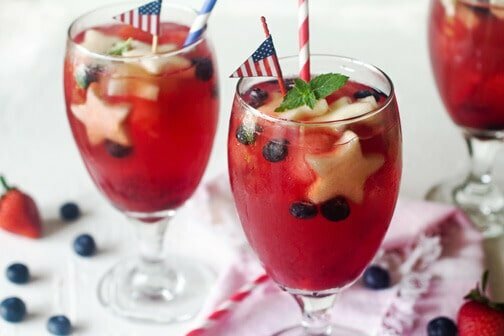 Use sparkling wine for even fancier sangria. Nothing says summer like biting into a thick slice of watermelon, but I was the only kid in the neighborhood that opted out of the sticky juice running down my elbows. I still don’t eat melons but like everything WATERMELON-flavored. Weird, I know. If you’re now thinking Jas, what’s better than a watermelon, I’d tell you that eating watermelon while simultaneously having a drink is much, much better. Getting watermelon drunk infused is easy enough to do. Just cut a deep hole, stick an open bottle of vodka in it and let it do its magic (see the video below). Slice it up like a pizza, top with your favorite fruit and enjoy! Just make sure to keep it away from kids. We don’t want kids running around drunk, now do we? I used a small star-shaped cookie cutter to cut my apples because the red, white, and blue colors just looked so patriotic and I couldn’t resist. With the Fourth of July nearing, I found it perfect for Independence Day celebration or any other patriotic holiday. This post is in partnership with Wiki Buy. All opinions are my own. WHAT ARE WATERMELON PIZZA TOPPINGS? For the kid-friendly version, omit the vodka and spread the slices with vanilla yogurt or cream cheese or ricotta mixed with honey. 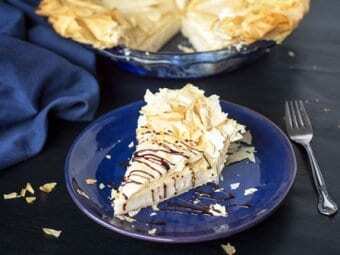 You’ll have a perfect healthy summer dessert that your whole family will love. If you’re looking for nice glassware, serving platters, or a marble chopping board like the one in the photo below, visit https://wikibuy.com/ for great deals. You’ll find anything there and then some, ha! Instead of scooping, cut watermelon into smaller chunks. Scoop 2 cups of melon using a melon baller and set aside. Dice the remaining watermelon into large chunks. Place the watermelon in a blender and pulse until smooth. Strain through a fine-mesh sieve into a large jug. Add the wine, triple sec, vodka, and lime juice and stir until combined. 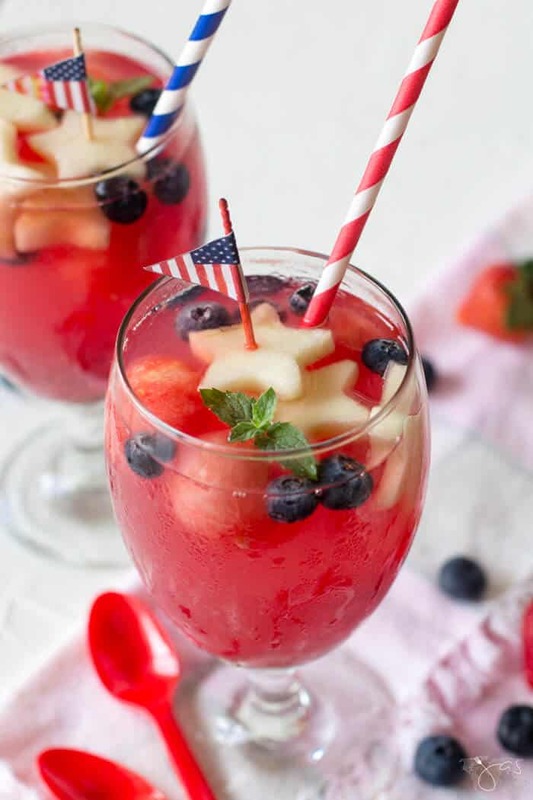 Add the reserved watermelon, apple, blueberries, and strawberries and allow to stand in the fridge for 2 hours before serving. Cut a hole into the watermelon the same size as the vodka bottle cap. Place the spout of the bottle into that hole and allow it to empty into the melon; this can take up to a half hour. 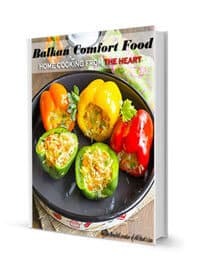 Let it refrigerate for at least an hour up to overnight. With a sharp knife, cut off a large ring of watermelon right down the middle, about 2-3 inches thick. Lay the slice on a cutting board and cut into 6 or 8 slices, depending on size. Layer your fresh fruit on top as you please. You can add as little or as many toppings as you like! 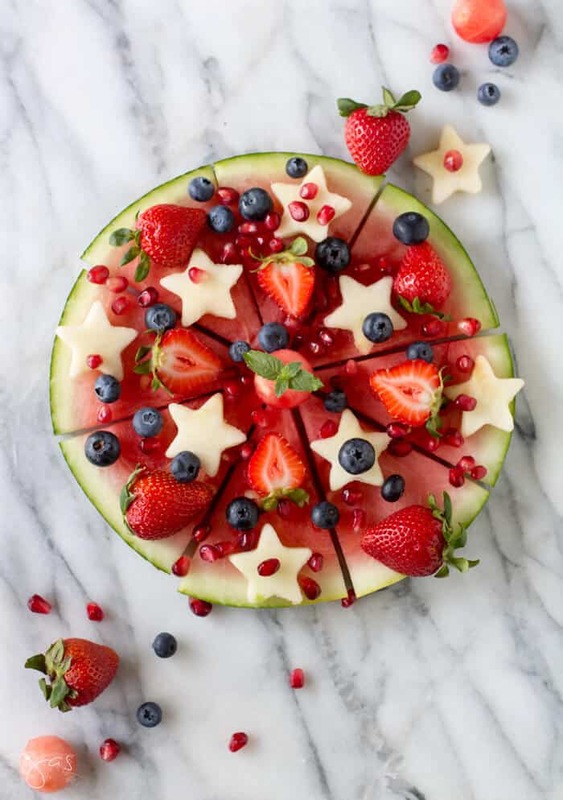 Refreshing new ways to use summer favorite fruit, this watermelon sangria and infused watermelon pizza will steal the spotlight at your next party. 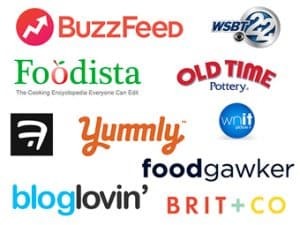 Featured on: Fiesta Friday, The Boondocks Blog, A Crafty Mix, Our Mini Family, The Squishable Baby, My Girlish Whims, Jodie Fitz, and The Cottage Market. This looks like a perfect drink for Fiesta Friday party!! It looks so elegant and pretty! Thanks for sharing, Jas! So happy you like it, Jhuls. Have a great weekend!!! Watermelon infused with vodka is my fairy world, LOL. 😉 Speaking of which, I’m so inspired by yours that I want to try (again) to create a fairy garden when I get time. See how it’ll go. Hugs! Jas, I want to come and get watermelon-drunk with you! I think we would have a blast 😉 This is so perfect for summer. I am not huge watermelon fan either (messy) but I would make an exception here! Ha, ha, we totally would! 😀 Thanks for making me giggle!!! 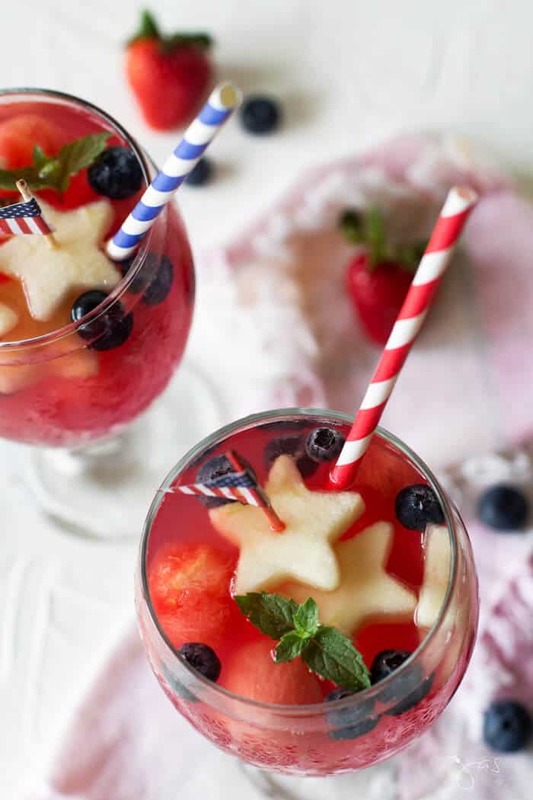 Woohoo I’m so making these for 4th of July!! I’m finally going to be that cool guest who shows up bringing something everybody wants to try when I make them for my annual potluck with my friends! Haha, Angie, you crack me up! I hope you and your friends will enjoy it. Thank you so much!!! These look almost to pretty to eat and drink–almost. I’m sure I’d find a way. You must have the best parties at your house! Happy summer! This would be a fun way to serve an adult fruit dessert. Love the look and will be featuring it on this week’s MM party. So glad to find your post. Very timely since we’re throwing a party on Sunday and this is just perfect. Thank you for sharing these brilliant ideas. Planning to make several shapes of my apples.